My air-conditioning seems to have a problem every summer. I have a little portable humidity reader in my bedroom that tells me if the indoor humidity is at an acceptable level. When I saw how high the humidity was, I looked into cost effective ways to get it back down. Everyone I spoke to about the issue, highly recommended DampRid which I heard of before but found it at Bed Bath & Beyond. 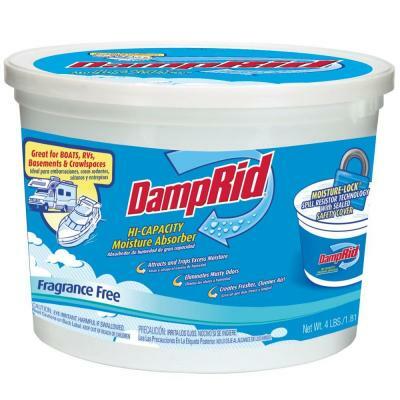 DampRid is a bucket filled with calcium chloride crystals which absorb excess moisture out of the air. The process works in that the crystals turn into a solid mass then they dissolve and liquid drips out of it. 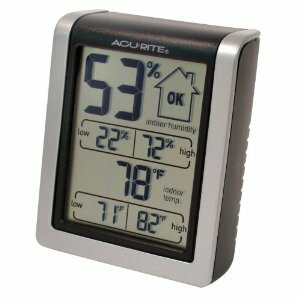 Once I opened up a tub in each room, my humidity reader said the humidity levels went down 10%. 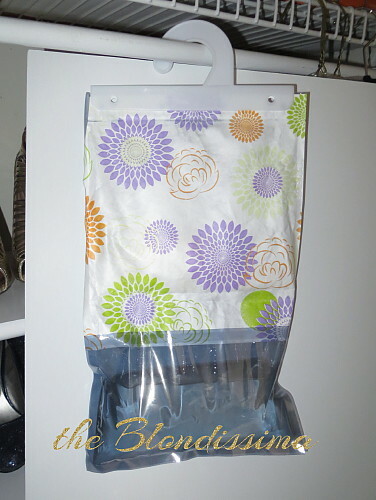 In my closet, I used DampRid's Hanging Moisture Absorbers and look how much water has come out of it! I highly recommend this product! Here are some tips everyone should know about keeping your home cool in the summertime. 1. Keep your blinds closed. Doing so keeps the temperature in your apt lower and saves you money on your a/c bill. You don't want the sun heating up your apt! 2. Let air flow naturally through your apt by keeping doors open. This was a new one to me but I found it worked. 3. Focus on the temperature of your body by cooling yourself from the inside out. Did you know there are lots of pulse points in your feet so dip them in cold water before going to bed. Apply ice packs to your wrists, necks, elbows, angles and behind the knees to cool down. Drink ice cold water, did you know hydration can prevent you from sleeping well. Popsicles are an even colder option! 4. Wear breathable fabrics such as cotton and linen and switch to a lightweight cotton for your sheets. I have different sheets for summer and wintertime, 600 count sateen and flannel, makes a world of difference. You can stick your sheets (in a plastic bag) in your freezer for a few minutes before bed to cool it down. 5. Turn off the lights in rooms as they give off heat. 6. Don't use the stove to bake anything, you're just adding more heat to the apt. Swap big meals for lighter dinners like salads and fruit. I have a fan tower that I keep in the kitchen for when I absolutely must use the oven. 7. Turn on your bathroom fan as it pulls the hot air that rises after you take a shower. 8. Go outside. I know it seems like an odd idea since it's hot outside, but it's a different kind of hot than in your apt. Plus there's a breeze outside unlike inside your apt. We had a mold problem a few years ago when the humidity got too high (unfortunately, it ruined a few jackets in my closet) - I invested in both DampRid and the same temp/humidity reader, and it has helped! Great tips!